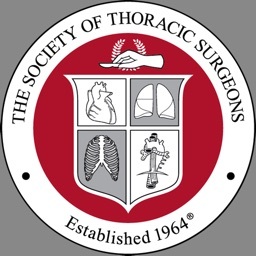 The Thoracic Surgery Residents Association (TSRA) is the organization that represents next generation of cardiothoracic surgeons. 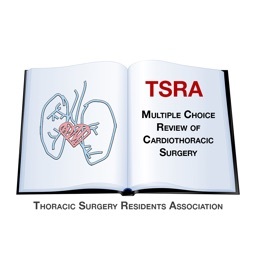 As such, the TSRA has assembled a catalog of educational materials for residents and fellows embarking on the arduous course of training. 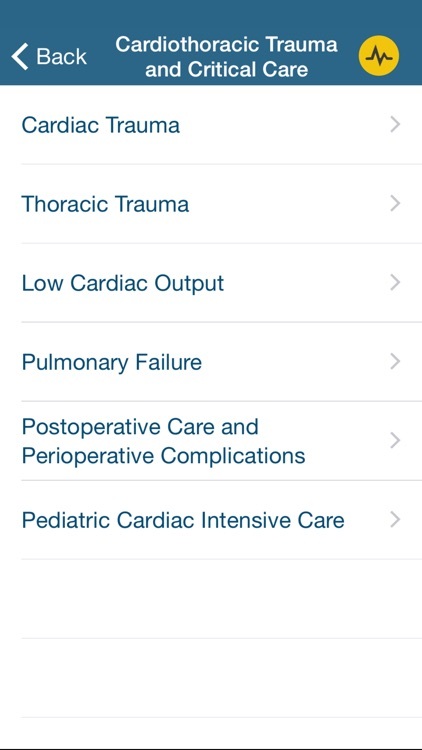 This app is the newest member of that catalog and allows the user to test their knowledge base by answering multiple choice questions in the major disciplines associated with thoracic surgery: adult cardiac surgery, congenital cardiac surgery, general thoracic surgery, and trauma and critical care. 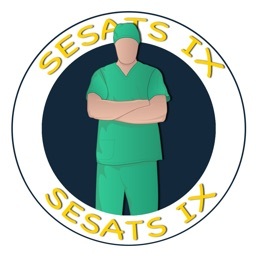 Each of the four disciplines is subdivided into important categories with approximately 10 questions per subject. The user selects the best answer and is immediately notified if their choice was correct. 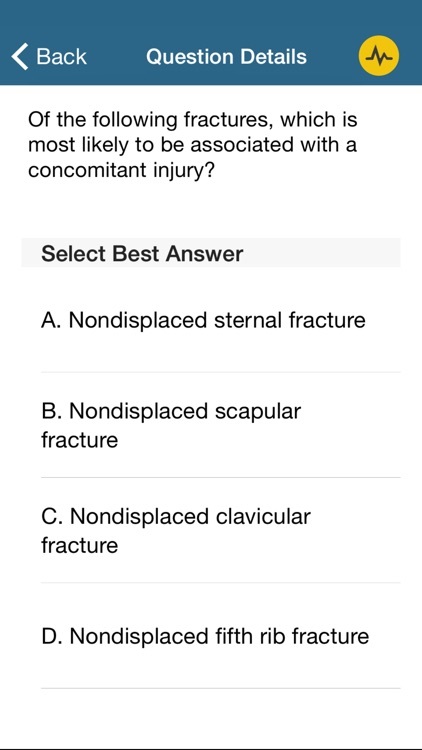 The notification contains the correct answer and, usually, an explanation for the correct answer and the incorrect options. 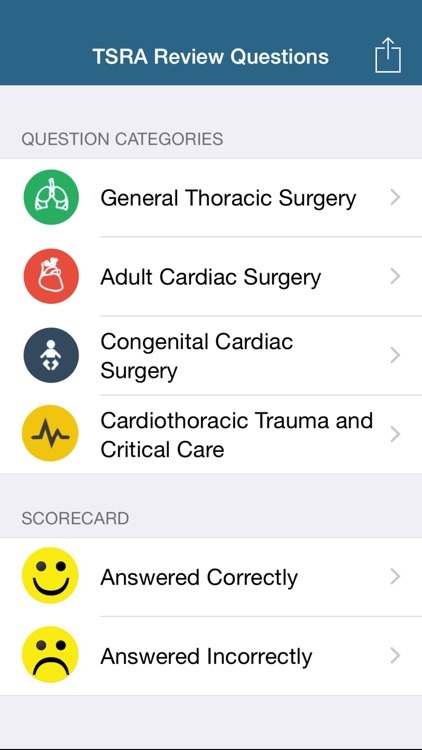 Answered questions are stored on the device as either answered correctly or answered incorrectly, providing the user the opportunity to review their previous attempts. 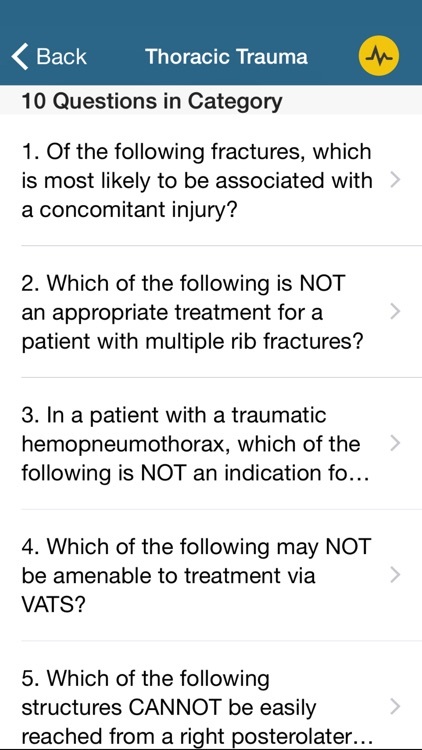 Questions can be reset to allow the user to repeat the questions as needed. 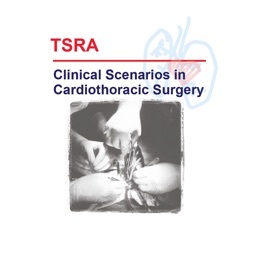 TSRA resources are provided as a basic guideline for the study of cardiothoracic surgery and should be used in conjunction with a variety of other educational references and resources. 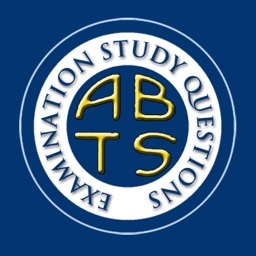 TSRA resources should not be construed as definitive study guides for either the TSDA In-Training Exam or the ABTS Certification Exam. 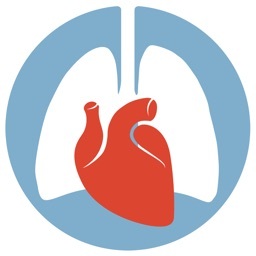 TSRA makes no claims regarding the study guide’s value in preparing for, or its contribution toward performance on, either the TSDA In-Training Exam or the ABTS Certification Exam. 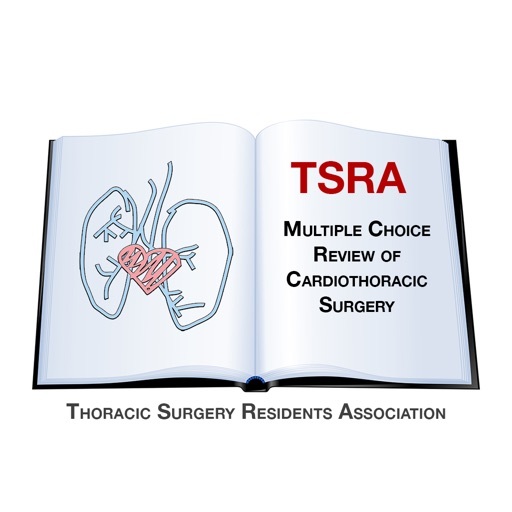 TSRA resources are educational tools only, and any medical decisions should be after discussions with appropriate healthcare providers.